I’ve posted this recipe before but since it’s summertime I thought I would repost with a little more info because these are the best ribs….ever! Perfect for a cook out with friends. I recommend pairing them with baked beans, broccoli salad or potato salad. Mix ingredients together in a heavy pot and cook over high heat until boiling. Reduce heat and simmer for 30 to 40 minutes. Preheat oven to 300°. 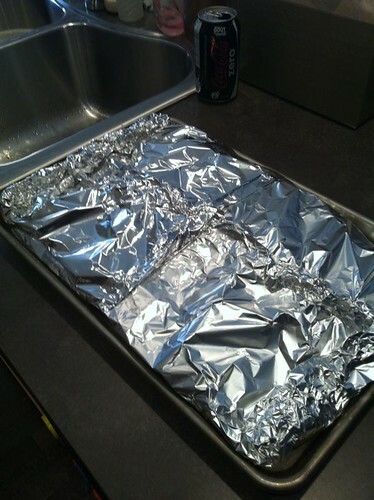 Cover a pan with aluminum foil. Put two long pieces of foil across the width of the pan. You will bring these together over the ribs to seal (hope that makes sense). 2 pieces of aluminum foil across the pan and 1 piece lengthwise. Make sure and fold the aluminum on the bottom together to seal it. Cut the ribs up into serving pieces. I usually do 2 or 3 ribs. 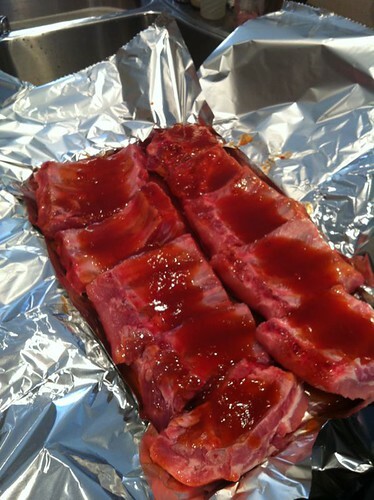 Place ribs bones down and coat with bbq sauce. Turn ribs over and coat other side. About 1/2 of your sauce should be left. Cook ribs bones up. Seal aluminum foil tightly so sauce doesn’t leak out. Cook for 2 1/2 hours. 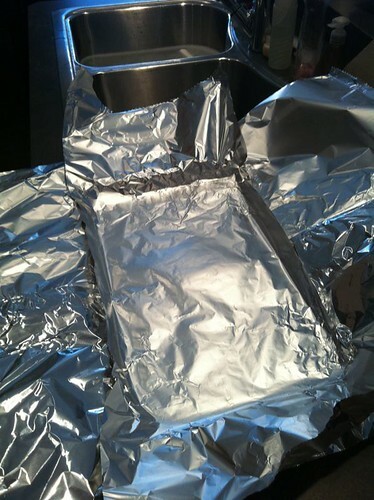 Remove ribs from foil. Place on a new cookie sheet. Brush with remaining sauce on the ribs and broil 8-15 minutes (keep a close eye so they don’t burn). Turn, brush other side and broil again. This step can also be done on the bbq. So…since it’s summer bbq season…what is your favorite thing to serve when you’re feeding a crowd?